If you are looking to purchase Passiflora incarnata seeds then you are luck as the 'Seeds of Eaden' seed shop now carries Passiflora incarnata seeds as part of its normal range of stock. 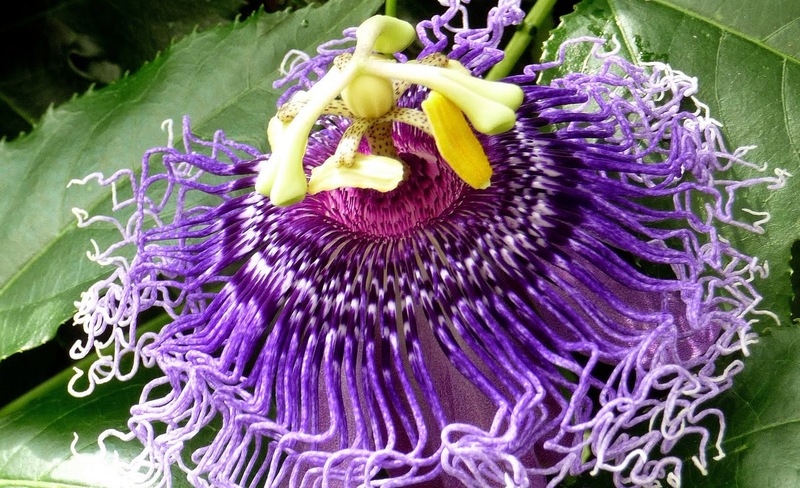 Commonly known as the maypop, or purple passion flower it is one of the hardiest species available, although it is a rarely seen in local plant retailers. Despite this it is relatively simple to grow from seed. 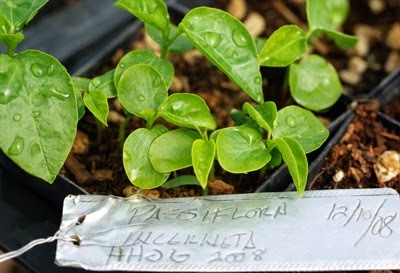 Sow Passiflora incarnata seeds in modular trays or pots containing a good quality compost such as John Innes 'Seed and Cutting' and at a depth of 6 mm. Gently water in and once the excess water has drained away place inside a heated propagator at temperature between 20-25 degrees Celsius. Alternatively seal inside a clear, polythene bag and place on the windowsill of a warm bright room, but one that does not receive direct sunlight. Germination can be slow, and if you haven't had any seedlings emerge after three months then you will need to think about encouraging your seeds by breaking their dormancy. This is done by transferring the seeds to a fridge, not the freezer, for a further 3-5 months. After this period of cold treatment place the seeds back into the heated propagator where there is now no excuse for your seedlings not to emerge in approximately 3 months. Remove the tray or pots from the propagator or polythene bag and move to cooler, but frost-free conditions. Water as necessary. Once the seedlings are large enough to handle, pop them out of their modules, damaging the root system as little as possible and pot on into 7.5 cm pots. Pot on as required until the weather is suitable for planting them out into their final position.